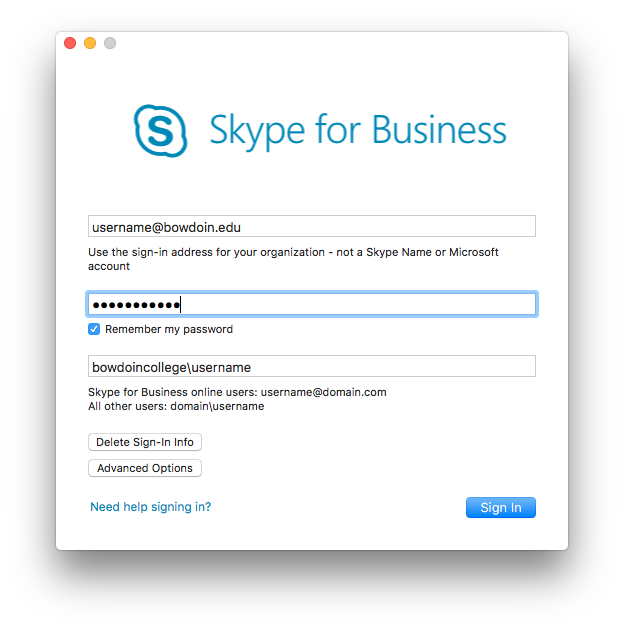 Skype for Business is available to faculty, staff and students through our Managed Software Center. For assistance using Managed Software Center, see the related article linked on the right. Once Skype for Business is installed, go to your Applications folder and open the application. Bottom line is an additional piece of authentication information. Enter "bowdoincollege\username" where "username" is your Bowdoin username.